A game, we reviewed in the past – but since our records were wiped. Its time to look back at our favourites and others that are worth another look. Since we are coming to the back end of another action-packed MLB Season – its time to dust off our virtual player’s gloves and bats – maybe have another shot at Moneyball. 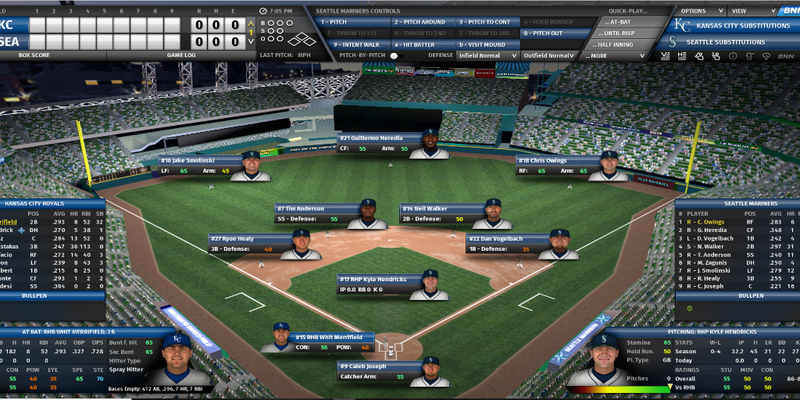 Out of the Park Baseball 19 is a baseball management game. Its main focus is on the MLB in USA but has other leagues from around the world. 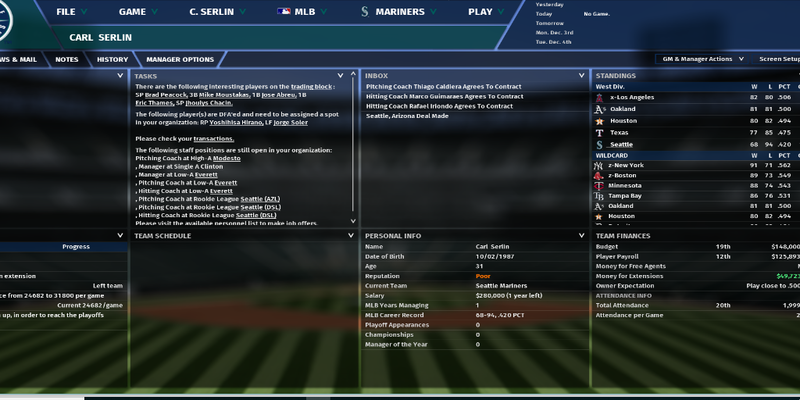 This has always been a good solid series of sports manager games and recently adding an official license took it up another gear. Briefly will go through a few of the most interesting elements. You manage the team on and off the field of play – as much or as little as you wish. When a season unlike football can be 4 times the length (average match rate in regular season in EPL is 38 games compared to MLBs 162 Games). First season in the new version, terrible. Dont take my tips for granted. I overloaded team with big contracted players. 68-94 W-L Season – not great. Off the park, the same as previous generations of the game. Been the GM and the Coach – will batter your head – how hard you can go. Do you create the perfect roster of outfielders or do you go for the perfect bullpen? It is a constant struggle off the park to manage your financials and to build that perfect roster to rise to the top. I found all to often a couple of decisions ruined a season but following season, I was fighting on all cylinders. Tip – Go for prospects over veterans – build your talent, dont sign over the hill veterans. I learnt this the hard way. On the Park, learning the tactics and how to make the best of your team of sometimes “misfits” is key to success. Presentation on the park is terrific and a massive improvement from when we first reviewed the game. Tactics wise, adjusting the field can be hit and miss. But that is likely down to me not been 100% on the key strategies of baseball – love to experiment with it. Tip – Since it is a big season, making sure you have a good coach and you could sim away and deal with things behind the scenes. I love coming back to this game because they constantly improve it. They build it and constantly review feedback and build upon it. Was it a mass improvement from the last game? Not originally, but now I can see a more refined game. Having the historical leagues of MLB – and been able to go back to eras gone back. Marks this game as a unique entity in the Sports Manager gaming genre. Long should they continue.